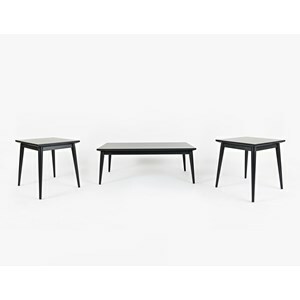 Modernize your living room with this sleek three piece table set, which includes one coffee table and two end tables. Each table features a warm Bellingham Brown finish and is equipped with a surfboard shaped tempered glass top. Place beverages, magazines, photos and other household items on these tables. 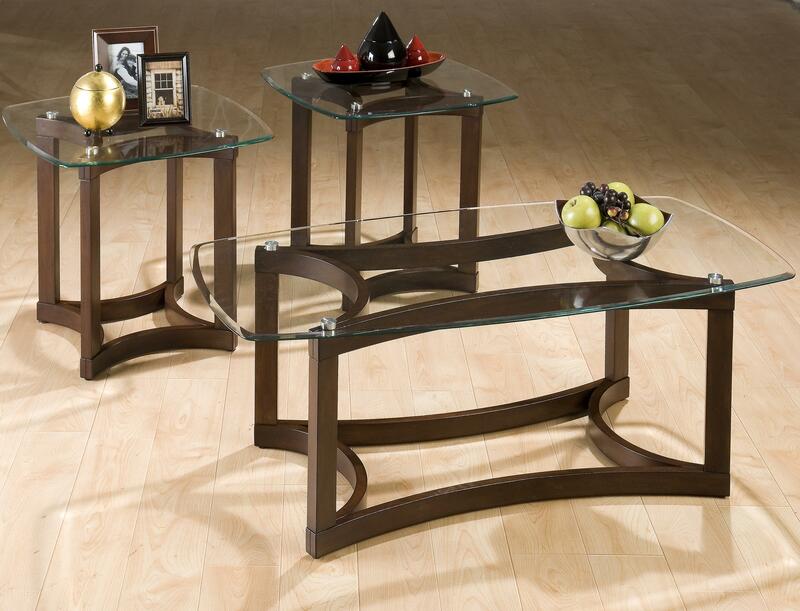 Furnish your living room with this stylish set today. 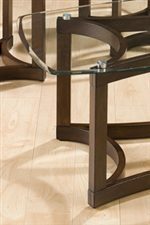 The Bellingham Brown 3-Pack Casual Glass Top Occasional Table Set by Jofran at Rotmans in the Worcester, Boston, MA, Providence, RI, and New England area. Product availability may vary. Contact us for the most current availability on this product. The Bellingham Brown collection is a great option if you are looking for Casual furniture in the Worcester, Boston, MA, Providence, RI, and New England area.